1. Reflect on your own childhood. What was your exposure to media, computers, television, videos, and similar items? How did this exposure (or lack thereof) influence your development? 2. What is your idea concerning immunizations and childhood illnesses? Has it changed over time? 3. Reflect on your own childhood. What was the role of religion in your upbringing? How did it influence you and your attitudes about life? What Makes Children So Different from One Another? 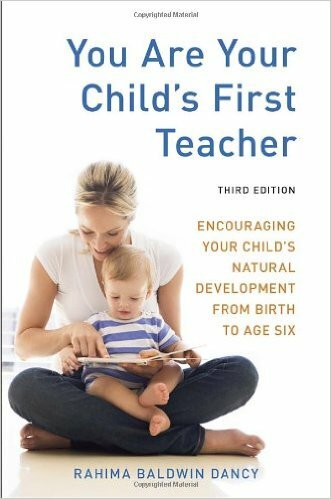 When I speak with parents around the country, similar issues come up again and again as parents consider the approach to the young child suggested in this book. By sharing some of these questions and the reasoning behind my answers, I hope this chapter will spark your own questions and your search for the answers that are most nurturing to you and your family. Even if I wanted to provide an idyllic world for my young child, I don't think I could do it. Modern life is just too fast-paced and stressful. Besides, don't children need to adjust to the realities of today's world? The best way to prepare your children for the stresses of today's world is not to expose them to problems early in their life, but to provide them with an environment that is warm and nurturing and that shelters them from as many of the problems of the adult world as possible. Child psychologist David Elkind has discussed at length the difficulties children encounter when they are hurried to grow up and face adult choices too soon, or when they are subjected to miseducation in academic subjects, swimming, gymnastics, ballet, and so forth. (1) Kim John Payne has found similar effects in his counseling practice with children and families and has outlined many practical suggestions in his book Simplicity Parenting. The rushed lives that most of us live make it difficult to provide children with an ideal world for their early childhood years. We tend to move frequently or travel a lot, to work too much and be too busy, and to move too fast for the tempo of our children. Divorce, single parenting, and blended families all add to the stresses of a child. And, with the best intentions, many parents push their children to achieve at an early age or to be grown-up emotional companions for them. Yet there is a great deal that parents can do for their children by providing an environment filled with love and warmth. By understanding a young child's development and his complete openness to his surroundings, we can do our best to provide a stable and nurturing environment within our current living situation. Fortunately, children are very giving and forgiving—and fairly resilient. Attend to your own life and emotions. The emotional environment you create for your child is far more important than the material environment. Honor the spiritual element in life, especially as it is brought to you by your children. Work toward rhythm in family life that can support you and your children. Remember that imitation and repetition, not reasoning and punishment, are the keys to discipline with the young child. Set limits and enforce them consistently; accept that you are the parent. Allow plenty of time for your child's creative free play as well as musical and artistic play. Allow time for just being home and "doing nothing." Buy or make childlike toys that encourage imaginative play. Simplify and phase out other toys. Avoid pressuring your child to be an early achiever in academics, sports, or the arts. Keep it unstructured and fun! Continue to pay attention to what your child experiences, limiting overstimulation from loud music, movies, and television. Avoid concerning your child with adult problems through news broadcasts, conversations, and so forth. Even third graders don't yet need to be taught about AIDS or substance abuse, as they have no way of comprehending such things! Read Simplicity Parenting and see whether there is a support group in your area. Your description of a play-oriented kindergarten leaves me wondering whether it really prepares children for the high-tech world in which we live. What about computer literacy? I want my child to have a competitive edge, not be behind the times. Children who start to use computers in preschool show no demonstrable advantage over those who start using them at age twelve or fourteen. Computers, as word processors and vehicles for logical thinking through programming, are suited to the adolescent, not the preschool-age child! Computers as toys are inappropriate, because they present a two-dimensional abstraction of the world to the young child, who should be moving and playing and acquiring a broad base of experiences of the physical world and the world of imaginative play. The visual image on the computer screen is especially hard on the developing eyes of the young child. Because children's senses and brains are developing throughout childhood, Healy says that "age-appropriate computer use may help establish some forms of connections, but inappropriate use may also build resistant habits that interfere with academic learning. Once set into the brain's connectivity, such patterns are hard to break." (4) Parents, like educators in the nation's schools, are jumping on the bandwagon that every child should be computer literate and be on the Internet without sufficiently investigating the nature of brain development, how children learn, and what is necessary for healthy development at various ages. We need to remember how the fantasy and play of the young child transform into the artistic imagination of the elementary-school child, the questioning of the teenager, and the rational thinking of the young adult. Then we will have confidence that fantasy and imagination, which are so natural for the young child, form a better foundation for later creative thinking than early learning. Creative thinking is more needed in our highly technological world than four-year-olds who can tap the screen of an iPad or manipulate the mouse of a computer. My five-year-old has always been precocious and already reads. And he can out-reason me in getting what he wants. If we want to try to encourage balanced development, what can we do now? He can't go back to early childhood! In working toward balanced development, it is necessary to have a picture of your child that includes more than intellectual achievements. What is he like emotionally? Is he happy being a child? Does he relate well with other children, or almost exclusively with adults? What is he like physically? Is he at home in his body and well coordinated? Does he have frequent illnesses and require antibiotics? Because the job of the intellect is to analyze and exercise critical judgment, very bright children tend to have difficulty relating emotionally with other children, a problem that can intensify as the child becomes older. 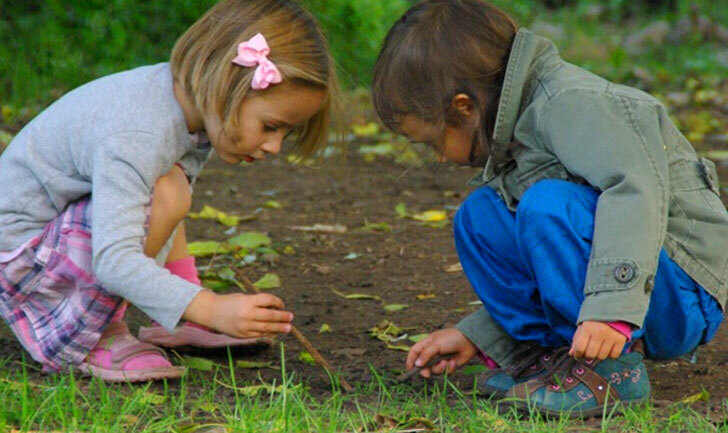 While an awakened child cannot go back to the dreamy world of early childhood, imaginative play and the arts can have a healing influence on the child's life forces, helping to "reweave the web" that protects the child during the first seven years. Images from fairy tales are also nurturing to the unconscious elements of the young child. Although you can't go back in time and do things differently with your child, it is also important not to feel guilty about choices you have already made. You were just as good a parent then as you are now. You made the best decisions you could then, based on your knowledge and perceptions of your choices. Guilt only takes us out of the present moment and makes us less able to see what is needed now, thus perpetuating problems rather than leading to meeting the present creatively. If there is going to be the possibility of healing, it must take place in the present. We make the best choices we can for our children in each moment, just as our parents did for us. Why do you suggest eliminating television for young children? We only let Jessica watch educational programs and she loves them! Probably anyone who is reading this book is concerned enough about their children's development that they think seriously about television watching and have probably limited it in some ways, to only certain programs, a certain amount of time, or watching programs together and talking about them, for example. However, the problem is twofold. First, television watching, including DVDs, is very seductive, and the time children spend doing it expands the moment your awareness drops. This is because it entertains the child and buys time for you as a parent. Creative play does the same thing, but television watching tends to squelch imagination and free play, leaving only bored children and more need for TV or another movie! Second, any amount and any kind of screen time—TV, DVD, video game, or computer—is not healthy for the young child, regardless of the content of the program. In 1999 the American Academy of Pediatrics recommended that children under the age of two not watch any television for healthy development. That was done in the face of statistics that show two-year-olds spend an average of twenty-seven hours a week watching television. There has also been recent heavy marketing of television programs designed for toddlers under the age of two. The doctors also recommended that older children not have televisions in their bedrooms. I was delighted that the pediatricians finally took the most rudimentary stand for child health, developmentally appropriate activities, and brain development with regard to the media. And I was astounded that they took so much criticism for it, from editorials in the New York Times to the Sacramento Bee. The primary criticisms were that their recommendations were dogmatic, unrealistic, and unscientific, because studies of the effects of TV viewing on infants and toddlers haven't been done yet. When the "experts" finally recommend something sensible, society discredits them as "unscientific." Also, because of television's insidious "flicker," television does not promote long-term attention. Rosemond notes that the deficiencies listed above are characteristic of learning disabled children, "children who don't seem to 'get it all together' when it comes to learning how to read and write." Although television is not the only cause of the learning problems plaguing our schools, we need to look at the fact that learning disabilities have become epidemic, and functional illiteracy among seventeen-year-olds has steadily risen since television became a mainstay of our culture in 1955. Jane Healy found the same phenomena in interviewing teachers and in her own work with children over the past twenty-five years as a learning specialist, She found through her research in brain development that "fast-paced, nonlinguistic, and visually distracting television may literally have changed children's minds, making sustaining attention to verbal input, such as reading or listening, far less appealing than faster-paced visual stimuli, (This thesis is explored in depth in my book Endangered Minds)" (10) Healy also reported that optometrists and other specialists have found an increase in vision problems among children due to the two-dimensional nature of the images, the flicker, and the Jack of eye movement involved in watching TV and videos. (11) And in 1997 more than 650 viewers aged three to twenty fell ill in Japan with nausea or seizures from the flashing lights in a Pokémon cartoon; 150 were still hospitalized the following day. And yet Sesame Street makes parents wonder whether their preschooler will learn "above" and "below' or will somehow be behind if she doesn't watch Grover and company teach it. With the popularity of children's programming on cable stations, children's viewing is steadily increasing. More than 40 percent of children aged six to eleven have televisions in their bedrooms to watch on their own, and nearly a quarter of toddlers aged two to five also have their own TVs. (14) By the time most children graduate from high school they will typically have spent 35,000 hours in front of a television set—enough for a bachelor's degree in television watching—compared with having spent only 11,000 hours in the classroom. If you subtract hours for sleeping and doing homework, children are left with relatively few hours spent in reading, playing, and doing the other creative activities of childhood. Radically limiting your child's screen time before the age of ten or eleven is probably one of the most far-reaching gifts you can possibly give him or her developmentally. This may mean putting the television set in your bedroom, if there are shows that you or your partner watch regularly while the children are up, or finding another way to keep it covered or inaccessible if your child is a button pusher. You will probably need to put more time into family activities when you first get rid of the television, but then you will find that the children become self-motivating and that you, as well as they, will have more time to do things alone as well as together. The world without television is very different and very much more in keeping with the developmental needs of the young child. I want to change the kind of toys my child plays with, but she always pesters me to buy her the other ones when we go to the store. I can't just throw everything out. Where can I start? At first it may be difficult to step outside of the chrome and plastic world of high-tech toys, but as you and your daughter begin to experience more alternatives, it will become easier. Certainly you won't want to take away favorite toys and create lots of strife! Possibly you can make a start by eliminating toys she doesn't play with now. That will clear out some of the clutter and make some space. Then make something, or buy an imaginative toy, and have a special place in her room where it lives or is played with. Invest some energy into the imaginative aspect of it, and make sure that it is put away each day in an attractive manner, ready for the new day. Gradually add toys that encourage imagination while you phase out old ones that are no longer played with. You will find that costumes and toys that invite imaginative play in little scenes will easily become favorites. Decrease the number of toys of the type you don't want your child to have by requesting that appropriate catalogs be sent to grandparents and others who send gifts. Some parents have a "rainy day box" for gifts and toys that don't match their values for daily play but that can be a fine adventure for a rainy day. Sometimes it is necessary to go cold turkey, as when we decided to get rid of our television set. We did it at a time when we were moving anyway, so it didn't become associated with patterns in the new home. And, though I had been braced for a loud wail, I was amazed that the children didn't even complain. At first we replaced television time with activities the children were doing at school—knitting, singing, playing recorder, and reading stories out loud—so they wouldn't go around asking what to do now that they couldn't watch television. We also tried to keep television from becoming forbidden fruit by telling the oldest child that he could watch certain events, like special football games, at the neighbor's house if invited. With the younger children, we told the neighbors that we didn't have a television, so they should tell our girls their daughter couldn't play if she wanted to watch television instead. I found being tolerant and avoiding being "holier than thou" helped things go smoothly, without a lot of emotional upset. Sometimes parents are discouraged by their children playing with neighbors who have different values. You can't continually police your child when he is out of the house, so have faith that your values make the strongest impression on your child. What you can do most effectively is to make your own rules at your house, and then make your house sufficiently attractive that your children and their friends will play there much of the time. The issue of play with guns, for example, is one that parents need to discuss together and decide for themselves. I still don't have any clear philosophical or psychological answers as to what parents should do on this issue and why; I just knew that I wouldn't buy guns and my children learned that no gun play was allowed in our house. That limited their access without bringing up long discussions or making our neighbors wrong. Children can accept that there are different rules in different places. "This is the way we do it at our house" is enough of an answer to many a "why?" from a young child. Similarly, I told children in my kindergarten that certain play was all right at home but not at school. They didn't have any problem with that. Ryan loves his video games so much that he'd play through meals if we let him. I'm thinking about some of the things you've said about passive screen time, but video games are more active and encourage eye-hand coordination, don't they? Setting the stage for an unprecedented collaboration between the Pentagon and Hollywood, the U.S. Army will announce the formation of a major research center today at the University of Southern California to develop core technologies that are critical to both the military and to the entertainment industry. What about immunizations? I've heard some people say that childhood illnesses could be beneficial. How could this be? While no one wants his or her child to become ill, many parents today question whether it is necessary to immunize their children with the standard array of more than fifty injections, and at what age the immunizations should be given. There are many opposing views on the subject, and parents need to do their own research and make responsible decisions. On the other hand, if you do immunize your child, you need to recognize that introducing the illness through the vaccine is a powerful shock to the body. Dr. Wilhelm zur Linden states that the reason vaccinations are given to babies and infants is because older children can react with cramps, fever, vomiting, and confusion. He states, "It is now known that strength with which to counteract the vaccination." (24) He suggests that the homeopathic remedy Thuja 30X given morning and evening starting on the day of vaccination can help protect the child when vaccinations are given. Whether or not to immunize a child, for which illnesses, and at what age are individual decisions that parents must make, as they weigh the pros and cons as best they can. In order to make informed decisions for your children, you need to gather information on all sides of the issues. The "pro" side is readily available from your pediatrician or health department. However, you need to realize that in public health there are other forces at work than wanting what is best for your individual child. Many of these issues are discussed in detail in the books listed at the end of this chapter. You have the ultimate responsibility for your child's health and wellbeing. You—not your doctor or state or federal health officials—will live with and be responsible for the consequences of your decisions. Obtain a copy of your state's mandatory vaccination laws and your rights and legal exemptions to vaccination. Work in conjunction with your health care provider to assess what is best for your individual child. Don't be intimidated by medical personnel and forced into a vaccination decision before you are comfortable with your decision. On the other hand, don't let your child come down with whooping cough because you haven't gotten around to figuring out whether or not you're immunizing! It's a lot of work to take responsibility for your child's birth, health, and education, but somebody's got to do it. How should I care for my child when he is sick? Before talking about how to care for a sick child, it is necessary to emphasize how important it is that you do care for a sick child. A child needs time and rest to fight off an illness and to consolidate the physical and developmental changes that may be occurring. If given insufficient time to recuperate, the child's system will become weaker and more prone to complications or future infections. Many parents are so harried that they don't think to call everything to a halt and get help (for example, with taking another child to school or going shopping) so they can keep the sick child at home and really attend to his needs. Parents who have to work ​are often tempted to give antibiotics immediately to suppress the child's symptoms so that he can be back in preschool within twenty-four hours, not realizing that he needs quiet time to regather his inner forces and to heal. And some working parents must take their children to unfamiliar day care centers for sick children if they can't use their own sick days to stay home with a child. Clearly our culture is not set up to meet the needs of children and working parents! When a child is sick with any illness, certain principles need to be kept in mind. The most important is that the child needs less stimulation so that the forces of the body and of the ego can fight off the illness and go through whatever changes are necessary. This means quiet play, staying in bed, if necessary, and eating lighter foods (which usually means less meat or fewer eggs, which most sick children know naturally). Television is especially to be avoided when the child is sick. It is amazing how most hospitals not only pay so little attention to the environment but also expect patients to get well while watching something like General Hospital on the television! Once you recognize the importance of home care for a sick child, what should you do? One important thing is to observe your child, both physically and intuitively. With an infant, note how he holds his body when he cries; observe the breathing and the nature of the cough; and note the child's eyes and facial expression. Try to feel what is happening and whether the child is getting better or worse. All good pediatricians will ask the mother for her observations and intuitions about a sick child and will take them seriously. It is important to try to find a doctor with whom you can develop a trusting relationship and feel that you are both working toward the healing of the whole child. Maintaining the health and vitality of your children is a responsibility that is shared by you and your children in conjunction with their health care providers when they are ill. We are a nation prone to the "quick fix." But, if we can take the time for real healing when our children (or we) are ill, we will have gained a great deal. As parents, there is a great deal we can do to help members of our family when they are ill. Compresses and poultices, herbal teas, and therapeutic touch are all home measures that can be learned to comfort a sick person and aid in healing. My children are so different from one another that it's as if they're hardly related at all! How can that be? Parents who have an "easy" child are often silently critical of other parents and think, "If they only would do what I did." Then when their next child comes along and is totally different and a real handful, they are amazed by how different children can be with the same parents. There's nothing like children to keep us humble! Similarly, parents with a "difficult" child may feel like a failure until they have another child who is sweetness and light. Rudolf Steiner recognized four basic "temperaments," or groups of traits. Although everyone is a mixture of several of the temperaments, one tends to dominate. By gaining insight into your child's and your own temperament, you can understand how people can be so different and will be able to try different ways of parenting and teaching children with different temperaments. The first type of person Steiner described is one who has an abundance of energy and likes to do things. As adults they are quick to see the future and want to manifest things. Such children are very powerful, with tremendous force of will and action. They tend to dominate in play, using images of power such as eagles, tornadoes, or bears. Their emotions tend to be hard to control—especially anger, aggression, and annoyance—and they become frustrated if not given enough opportunity to engage their abilities. They can be overbearing, but they also have positive leadership abilities and can be characterized as the "movers and shakers" who make things happen. They tend to be compactly and powerfully built, and walk with their heels dug into the ground. Well-known historical examples of this choleric or fiery temperament are Napoleon and Teddy Roosevelt. Contrast that child with one who is dreamy and likes to sit. Sometimes movement seems like too much effort for this type of child. These children are very concerned with the comfort of their bodies, and their favorite part of the day is often snack time or mealtime. When they interact with other children, they usually have a harmonizing effect; often they are content to just sit and watch. These children are very comforted by routine and rhythm; they are hard to get started, but they are equally hard to change, so loyalty is one of their virtues. Transitions and any kind of change are hard for these children, and they can have as many temper tantrums as the choleric child. Such a child will become engrossed in anything he starts and will keep at something like a painting until the paper has a hole in it! Such a phlegmatic temperament is related to the element of water, with its rhythmical wave action that goes on and on without tiring. A third type of temperament appears in the child who is almost always bright and happy. He or she is usually very cheerful, with tears changing to laughter as quickly as they appear. This child seems to barely touch the ground, and in fact can be observed to walk on the toes much of the time. These children can be very easy to parent; the difficulty in the elementary grades is in getting them to finish their work. Their interest is so ephemeral that they're like butterflies flitting from one thing to the next. They are quick and observant and enthusiastically rush into things, but tend to lack follow-through. They are so aware of sense impressions that they are easily distracted by each new thing. This sanguine temperament is related to the quality of air, which is light and always changing. To round out our description of the four temperaments, picture a child who is often very inward, more involved in his or her own emotional world than in external action. This kind of child is not so easy to spot in early childhood, because most young children seem to be happy much of the time, but as they grow older, such children seem to take everything personally and experience a great deal of personal suffering (for example, because someone doesn't like him, or because one child didn't give her a valentine). Crying at his or her birthday party is often typical of this child. The positive side of this temperament is a very compassionate and caring nature, but the negative side is extreme sensitivity, as they are more caught up in their own reactions than in what is actually happening. They tend to live in the past, to contemplate their thoughts, memories, and emotional reactions, and they never forget or let go of something. This melancholic temperament is related to the element of the earth, offering resistance to what is happening; but, like geode stones with shining crystals inside, such people have a rich inner life of thoughts and feelings and can be very caring. My husband and I don't go to church, but we want to do something with our child in terms of religious instruction or upbringing. We don't just want to send her off to Sunday school, but what can we do that is meaningful and appropriate? Having children usually brings up questions about your own experiences with religion as a child, your current spiritual orientation, and what you (both) want for the children. Many times children lead parents back into a relationship with the religion of their childhood, which they rediscover with new depth and meaning. Because the expression of spiritual beliefs is so individual, I encourage you and your partner to discuss them together and work toward finding or creating an appropriate expression of your beliefs that is suitable for your children as they grow. It is our job as parents to acclimatize the child to this new land, this new condition of life on earth, but to do this in such a way that the child is not driven into forgetfulness of his or her true origin and ultimate goal. How can we help our children develop their innate religious sense? How can we feed their spiritual hunger? How can we assist them in developing their spiritual nature? These questions are addressed in The Spiritual Hunger of the Modern Child, a compilation of ten lectures by notable speakers representing a variety of religious perspectives, including Judaism, Christianity, Subud, and Buddhism. (27) In great depth the writers discuss the nature of children, the effect of the home environment, the use of prayer, the power of attraction, heredity, and conscience. Joseph Chilton Pearce, in Magical Child Matures, (30) emphasizes this same theme: in order for the child to be whole, he must have a model who is whole. While none of us qualifies as a fully realized human being (and our children must know this! ), our striving, efforts, awareness, and yearning communicate to the child and are far more valuable than either complete materialism or sanctimonious piety, both of which children can see through and reject as false. Sanctuaries of Childhood, by Shea Darian, and her book Living Passages for the Whole Family together provide a rich foundation for developing ways to honor and celebrate the spiritual in family life. (31) Principles to keep in mind include not calling on the intellect or giving moral exhortations but instead providing stories and images that awaken in the child a feeling for the holidays or the qualities one is trying to convey. Because of the imitative nature of the young child, the child's experiences during any kind of Sunday school will have a deeper effect than the words that are spoken, just as who you are and what you do speak more clearly than your words. Thus it is important to give attention to the quality of this experience in your church, temple, or mosque. 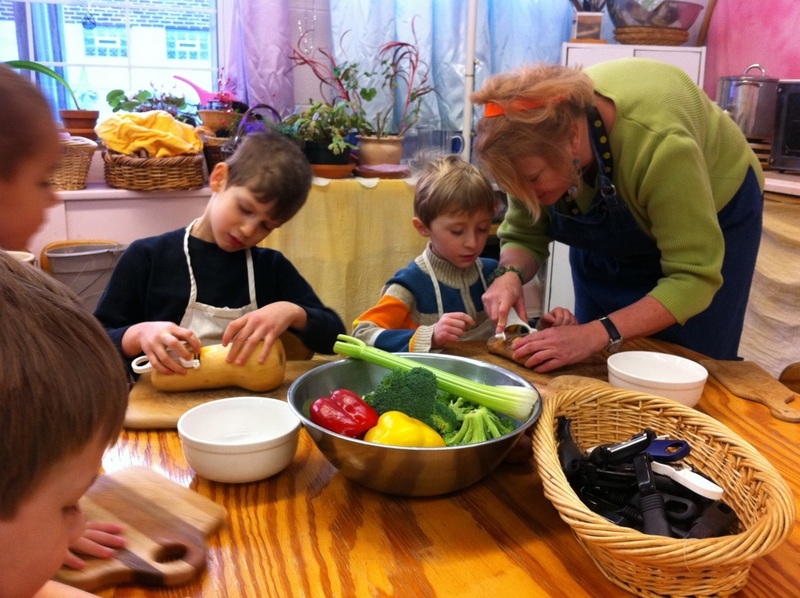 Is there an atmosphere of calm and warmth in the early childhood classes? Do the activities and methods fit the nature of the young child? You may find that you have to become a teacher yourself! If we observe such a thing with our whole being and not with the theoretical intellect, then we will develop an attitude or mood in being with young children that Steiner calls "priestly." Thus parents, child care providers, and early childhood teachers are like "caretakers of the divine" as they recognize divinity in the child and introduce him or her to earthly life through the sacred qualities of rhythm, beauty, and love. Although I feel it is beneficial to recognize the importance of our role with young children, I am the first to admit the shortcomings in my attitudes and actions in bringing up my own children and in being with young children in many given moments. However, we not only try to do the best we can, but we can also strive to do better, for the most important work of the parent with young children is inner work on oneself. The young child trustingly accepts us as perfect and good; once he becomes older and sees our imperfections, the most important thing is that the child sees we are striving to do better. Our desire for inner growth (or our complacency) is perceived by the child and has a very deep effect on him. However, qualities such as reverence and prayer cannot be taught to a young child through doctrine or exhortation. They must live within the parents. If prayer is a living reality for the mother or father, then he or she can communicate that to the child and teach him, through example, about prayer. Think about your own childhood. What experiences brought you closer to the Divine? Which people seemed to have a special quality? Looking at spiritual questions can be another great gift that your children bring to you. The practice of medicine directly inspired by Steiner's work has developed more extensively in continental Europe, with fewer practitioners in North America. These doctors and nurses work out of an inner effort to understand the entire human being and the meaning of illness, utilizing many things in addition to standard techniques: nutrition, massage, painting, eurythmy, sculpture, music, baths, herbal oils, and so forth. Further reading about this approach can be found in: A Guide to Child Health, by Dr. Michaela Glöckler and Wolfgang Goebel (Floris Books). An Introduction to Anthroposophical Medicine: Extending the Art of Healing, by Victor Bott, M.D. (SteinerBooks). Lilipoh. A quarterly journal providing a forum for many different kinds of healing therapies, including anthroposophical medicine. See www.lilipoh.org. Physicians' Association for Anthroposophical Medicine (PAAM). Provides information and a directory of physicians. See www.paam.net. When a Child Is Born, by Wilhelm zur Linden, M.D. (Thorsons). Information on dealing with childhood illnesses. "Childhood Illnesses, Vaccination, and Child Health," and other articles by Philip Incao, M.D., an anthroposophical doctor. See www.philip incao.com. A Guide to Child Health, by Michaela Glöckler and Wolfgang Goebel (Floris Books). Considers childhood illnesses and immunizations from the view of anthroposophical medicine. The Immunization Resource Guide, by Diane Rozario (Patter). An annotated listing of nearly everything in print concerning "where to find answers for all your questions about childhood immunizations." Available from Amazon. The National Vaccine Information Center. A national nonprofit organization dedicated to public education. Numerous publications and legislative alerts. At www.nvic.org. Vaccination: The Issue of Our Times. Articles, research, references, and resources by physicians, public health workers, and parents from Mothering magazine. See www.mothering.com. The Vaccination Dilemma, edited by Christine Murphy (SteinerBooks). Your County Health Department. Start here and proceed to the state health department, if necessary, to receive the official information on immunizations, risks, and legal requirements. Be sure to ask about exemptions and immunization registries as well. Amusing Ourselves to Death, by Neil Postman (Viking). The Child and the Machine: How Computers Put Our Children's Education at Risk, by Alison Armstrong and Charles Casement (Key Porter Books). Endangered Minds: Why Children Can't Think and What We Can Do About It, by Jane M. Healy, Ph.D. (Simon & Schuster). Four Arguments for the Elimination of Television, by Jerry Mander (Harper Collins). The Plug-In Drug, by Marie Winn (Penguin). Unplugging the Plug-In Drug, by Marie Winn (Penguin). Who's Bringing Them Up? by Martin Large (Hawthorn Press). In the Light of a Child, by Michael Burton (SteinerBooks). Fifty-two verses for children inspired by Rudolf Steiner's Calendar of the Soul. Living Passages for the Whole Family: Celebrating Rites of Passage from Birth to Adulthood, by Shea Darian (Gilead Press). Prayers for Parents and Children, by Rudolf Steiner (SteinerBooks). The Radiant Child, by Thomas Armstrong (Theosophical Publishing House). Sanctuaries of Childhood: Nurturing a Child's Spiritual Life, by Shea Darian (Gilead Press). The Spiritual Hunger of the Modern Child: A Series of Ten Lectures, by John G. Bennett et al. (Claymont Communications). Elkind, The Hurried Child, and Elkind, Miseducation. Healy, Failure to Connect, p. 110. Todd Oppenheimer, "The Computer Delusion," Atlantic Monthly, July 1997, pp. 45—62. Healy, Failure to Connect, p. 133. Rudolf Steiner, from a course of lectures delivered in Oxford, England, in the summer of 1922, quoted in Grunelius, Early Childhood Education, p. 43. Rudolf Steiner, Human Values in Education, lectures delivered in Arnheim, Switzerland, July 17—24, 1924 (London: Rudolf Steiner Press, 1971), p. 55. John Rosemond, "Children and Television," Boston Globe, January 3, 1984. Audrey McAllen, "Movement or Television," Bulletin of the Remedial Research Group (Fair Oaks, CA: Rudolf Steiner College, n.d.). 10'. Healy, Failure to Connect, p. 32. Marie Winn, The Plug-In Drug (New York: Viking, 1985). Study by BJK&E Media Group of Manhattan, reported in David Bauder, "Children Today Watching More and More TV, Study Shows," Ann Arbor News, December 30, 1997. Education Week, February 14, 1996, p. 32; quoted in Healy, Failure to Connect, p. 104. Karen Kaplan, "Army, Hollywood to Co-star in Research," Sacramento Bee, August 18, 1999, p, A4. Healy, Failure to Connect, p. 180. Healy, Failure to Connect, pp. 158—59. See Otto Wolff, "Childhood Diseases as a Source of Development," Weleda News 4 (1983): 14-15. Dr. Uwe Stave, "Reflections on Fever in Childhood," Journal for Anthroposophy 42 (Autumn 1985): 9. In addition to Western allopathic medicine, other systems such as homeopathy, naturopathy, and anthroposophical or ayurvedic medicine also can provide helpful approaches. zur Linden, When a Child Is Born, pp. 163—64. T. Berry Brazelton, Infants and Mothers: Differences in Development (New York: Dell, 1986). Rudolf Steiner, The Four Temperaments (London: Rudolf Steiner Press, 2008). John. G. Bennett et al., The Spiritual Hunger of the Modern Child: A Series of Ten Lectures (Charles Town, WV: Claymont Communications, 1984). René Knight-Weiler, Spiritual Mothering Journal, Summer 1986, pp. 28—29. Joseph Chilton Pearce, Magical Child Matures (New York: Bantam, 1986). Shea Darian, Sanctuaries of Childhood (Phoenix, AZ: Gilead Press, 2011) and Living Passages for the Whole Family (Phoenix, AZ: Gilead Press, 2008). Rudolf Steiner, Study of Ivlan (London: Anthroposophic Press, 1947), p. 138. Rudolf Steiner, The Roots of Education (London: Rudolf Steiner Press, 1968), pp. 37-38. Rudolf Steiner, The Essentials of Education (London: Rudolf Steiner Press, 1948), p. 29. Steiner, Human Values in Education, p. 125. Rudolf Steiner, The Renewal of Education (Forest Row, UK: Steiner Schools Fellowship Publications, 1981), p. 65.